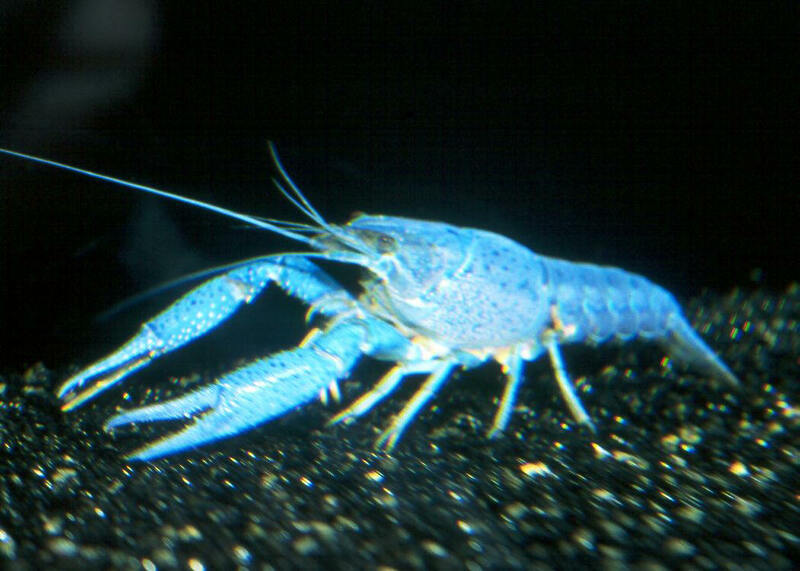 Cherax tenuimanus, the (Blue, cultivated) Marron. Found naturally in Southwestern Australia. Natural habitat is calm water under ledges. Territorial, one to a tank. Nocturnal feeders on plant material, animals, detritus. Males distinguished by genital papillae on fifth pair, females with openings on third pair of walking legs. Cool to tropical water. Escape artists! Keep tank covered. Cardisoma sp. 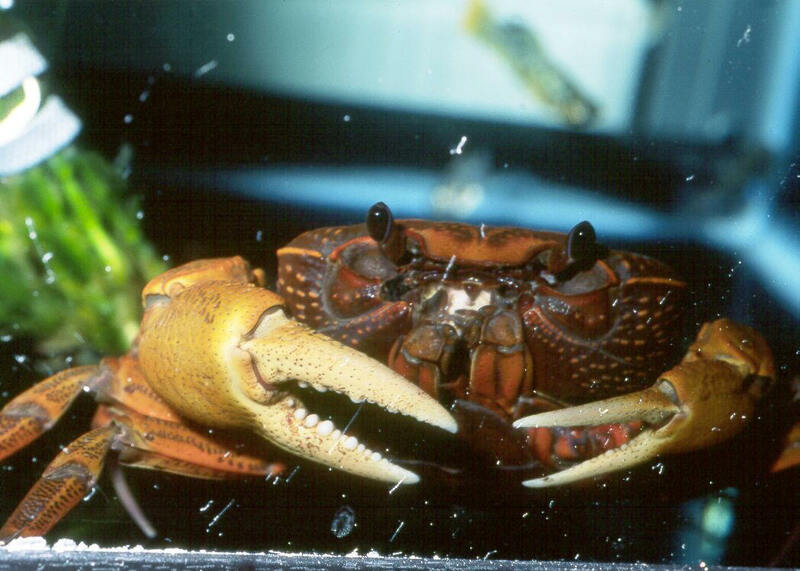 Southeast Asia, Indonesia Land Crabs. Soap-Box Crabs for how they're individually shipped (in plastic soap-dishes closed with rubber bands) to prevent cannibalism. 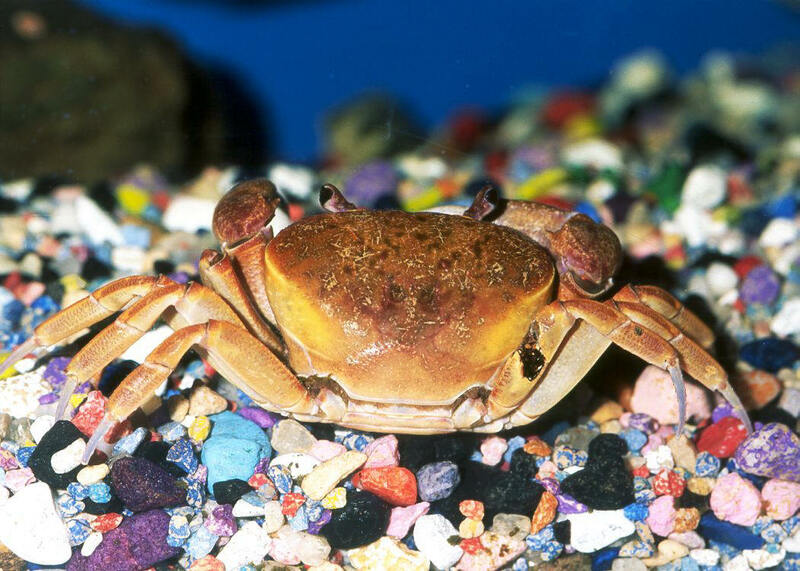 To eight inches across... Not a community tank item... if you're lucky, yours will crawl out of the tank and leave. Caridina multidentata, formerly known as C. japonica. From the Yamato River area of Japan. Reclassificed in 2006, this is aka the Amano Shrimp.